From John Hennessy: We repost this (originally from 2010) in advance of our walk through the National Cemetery tonight, for History at Sunset. It is a vivid example of the conundrums we often face. 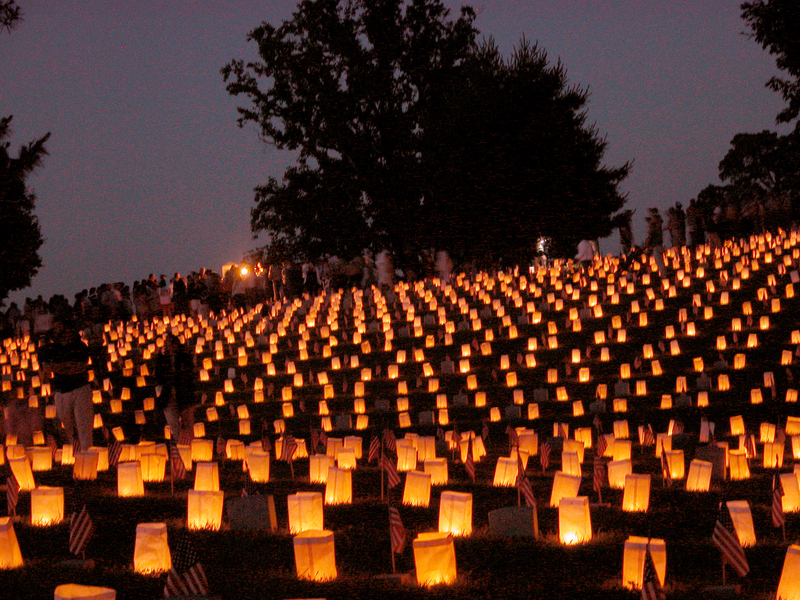 The annual illumination of the National Cemetery–one candle for each of the 15,000 men buried there. 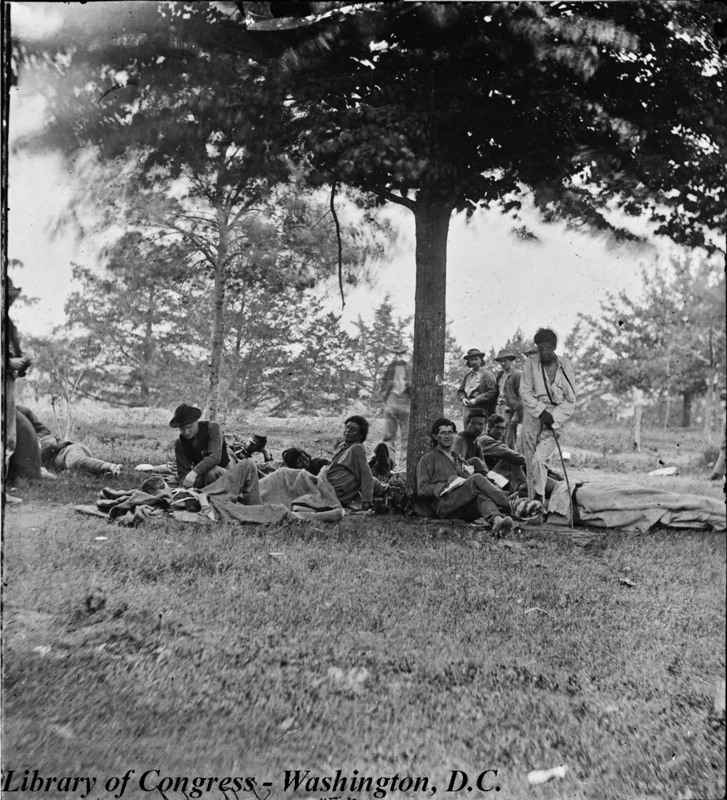 On September 30, 1865, a private of the 11th Connecticut Infantry died in Fredericksburg. The man and his regiment were in town as part of the post-war occupation force. He died not from violence, but apparently from illness. His body was, it seems, buried in the yard of the Mary Washington House on Charles Street. Some sort of marker must have been put over the grave, for when Union soldiers arrived a year or more later to collect the remains of Union dead from the town and battlefield, they recorded finding the body of Charles Fox, Company H, 11th Connecticut. 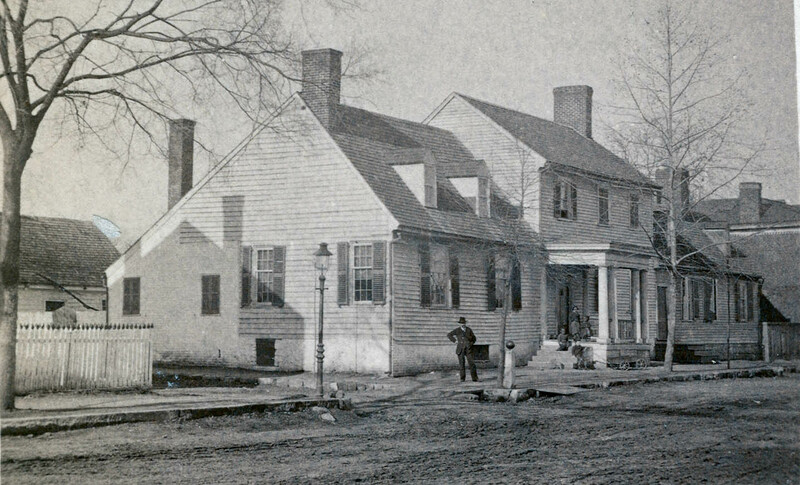 The Mary Washington House on Charles Street, where Charles Fuchs was apparently initially buried. War takes its most powerful human form when it narrows from the panoramic to the personal, from broad vistas to individual faces. Henry Ege of Orwigsburg, Pennsylvania was too young to fight when the war began. But, the war waited for him, grinding along for three years until he turned 18. 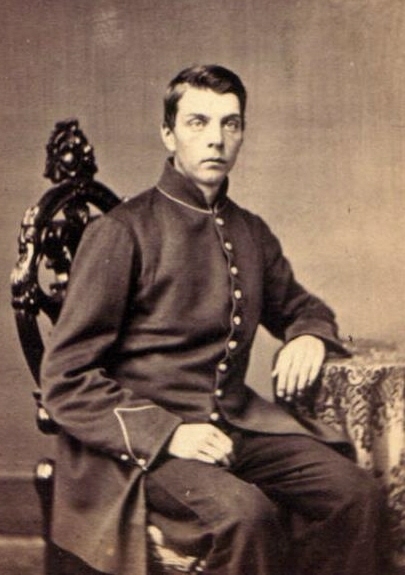 In February 1864, he enlisted in Company I of the 48th Pennsylvania Infantry. Too young to have built anything like a profession, his occupation was simply listed as a “laborer.” Blue-eyed, 5’5″ tall, the youthful boy soon found himself in the 48th’s camp near Annapolis, Maryland. I take my pen in hand to let you know that we are all well at present time and hoping that these few lines may find you enjoying the same state of happiness. I have not much news to tell you this time. I am out of money and would like if you would send me about five dollars as soon as you receive this letter. I would not have written for some money but we don’t know when we will get paid, a person feels lost if he has no money out here. General Burnside and Gen. U.S. Grant were here today, they are very fine looking Generals. The rest of the Orwigsburg boys are all well. I have no more news for this time. I had a letter from my school master C.H. Meredith. No more at present. Excuse bad writing for I had a bad pen. Are there soldiers buried in the backyards of Fredericksburg? While landscaping her backyard last year, a resident on Caroline Street in downtown Fredericksburg turned up numerous large pieces of partially worked granite. All of them were irregularly shaped, with the exception of one piece that measured six inches square and had a finished face, on which a series of numbers had been chiseled. 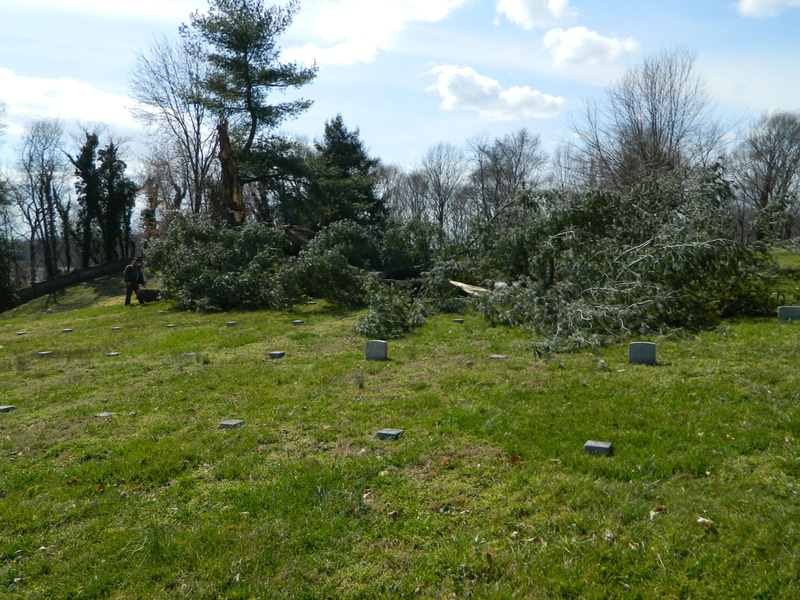 A call to the National Park Service resulted in a visit and determination that the granite block was the top of an unknown gravestone from a national cemetery. There are often two numbers carved into these stones. 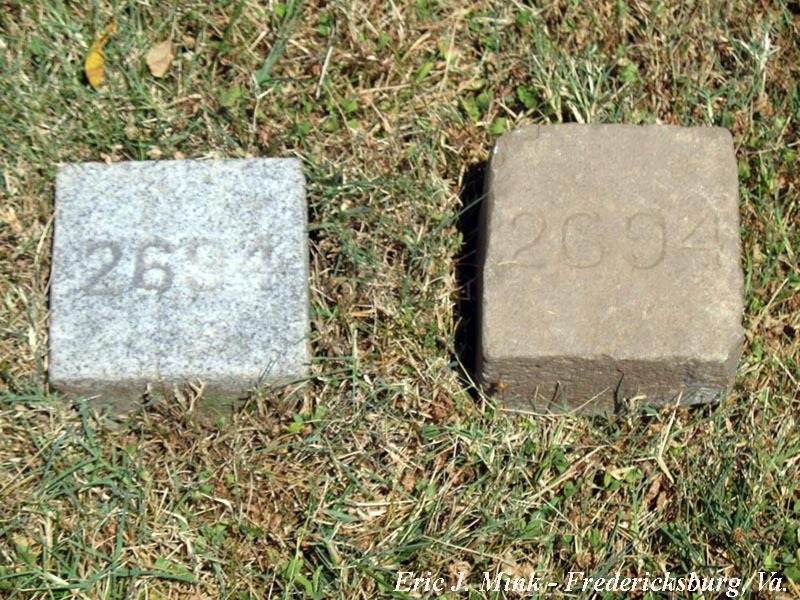 The top number identifies the grave, while the bottom number identifies the number of individuals buried in the grave. In this case, there was only one number – 2694. That meant that the stone was intended for grave 2694, which contained only one burial. A quick trip to the cemetery revealed that that particular grave is marked with an identical stone.